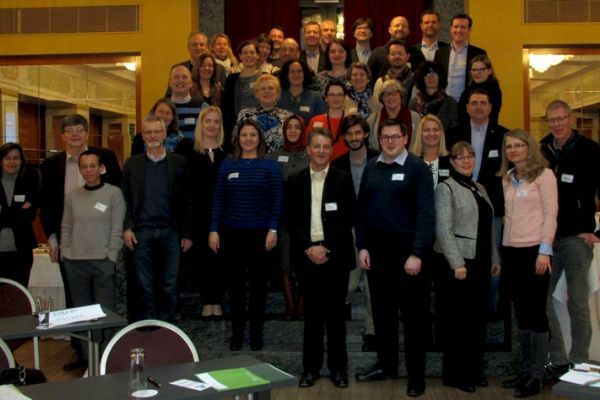 An update on the first activities of SusCrop was given, mainly focusing on the launched co-funded call and the related activities such as the evaluation of the research proposals and the upcoming meetings. EU Top-Up funding and the upcoming workshops on “data collection and harmonization” and on “sustainability and resilience assessment methods” were other main agenda points. In addition, the communication and knowledge exchange strategy (useful information, communication and promotion material) was presented to the whole consortium for discussion. Next to the internal presentations given by consortium members, Francesca Cuesta-Sanchez from the EC (Research Executive Agency, Unit REA-A1) was invited to explain finance, reporting, ethics and dissemination issues. The kick-off meeting also welcomed other stakeholder participants: Anne-Marte Tronsmo (FACCE-JPI Scientific Advisory Board), Aleksandra Malyska (FACCE-JPI Stakeholder Advisory Board) and Magdalena Koch (FACCE JPI Secretariat). 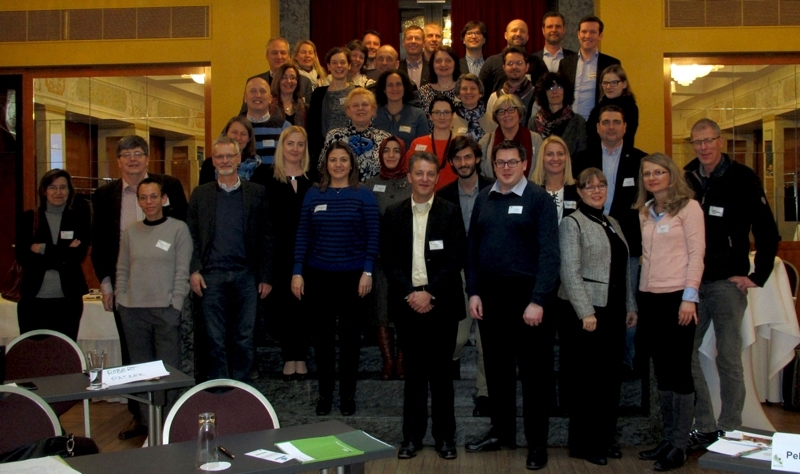 Back-to-back with the kick-off meeting SusCrop held its first Joint Workshop on “ERA-NETs' exchange on joint activities - opinions and plans on solutions for sustainable agricultural systems” on the 28th of February and the 1st of March at the Angleterre Hotel in Berlin, Germany. In the introductory round, representatives of each related EU initiative presented a short overview of their activities with some expectations towards the complementary value in a potential future cooperation. The first keynote presentation “Systems thinking and sustainability assessment in cropping systems” was given by Hilde Wustenbergs (ILVO, BE) Belgium. Philipp Lottes (University of Bonn, DE) highlighted the bottlenecks and perspectives of machine learning in smart farming systems for autonomous weed control. Fabio Fiorani (Jülich Plant Phenotyping Centre, DE) showed the needs for plant phenotyping focusing on future data management issues.Claus Bo Andreasen (AU, DK) from the SusCrop communication team presented the challenges in communicating transnational agricultural research. This interactive workshop with 44 participants generated interesting ideas and proposals for possible common actions. A joint activity with another funding initiative as additional call for SusCrop seems reasonable to aim for the end of 2019 or beginning of 2020. We would like to thank the participation of the representatives of the various EU initiatives: FACCE-Surplus (Nicolas Tinois), CORE Organic (Lucie Andeltova), SusAn (Timo Kuhrau), ERA-CAPS (Paul Wiley), Euphresco (Baldissera Giovani), ICT AGRI 2 (Johannes Pfeifer) and SUSFOOD2 (Hendrik De Ruyck) for their valuable contributions.